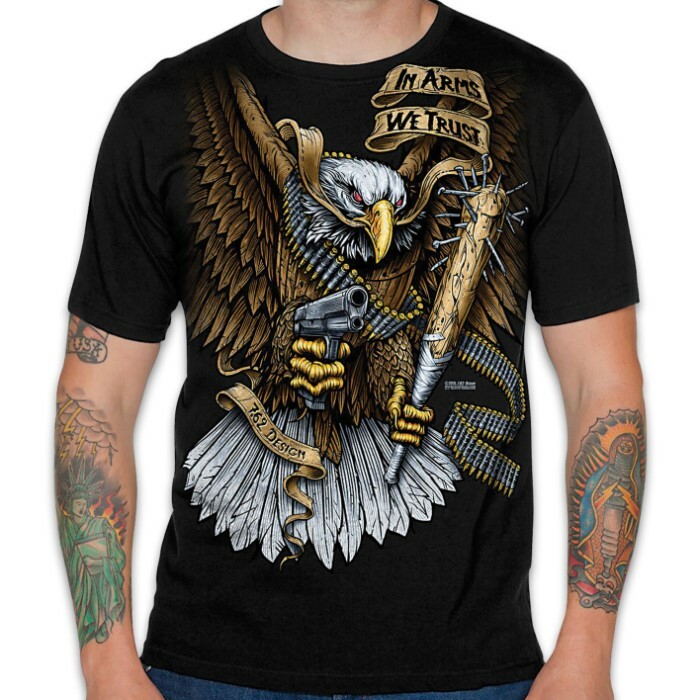 In Arms We Trust Black T-Shirt - Pre-Shrunk Cotton, Athletic Fit, Screen-Printed Original Artwork, Tagless | BUDK.com - Knives & Swords At The Lowest Prices! Speed, surprise and violence of action! 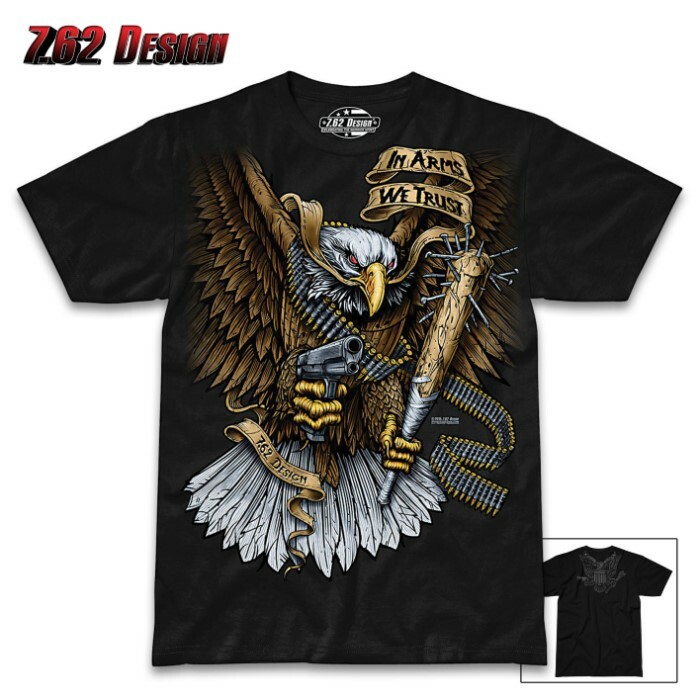 The up-armored winged-warrior, on the In Arms We Trust T-Shirt, clearly makes his point wielding a nail-studded bat and .45 ACP! Inspired by the creed that freedom requires strength, vigilance, and the will to project them both, this firearm t-shirt has it all! The all-original artwork is screen-printed on the back and the front. The athletic-fit shirt is made of mid-weight, 100 percent pre-shrunk cotton and is tagless for added comfort. 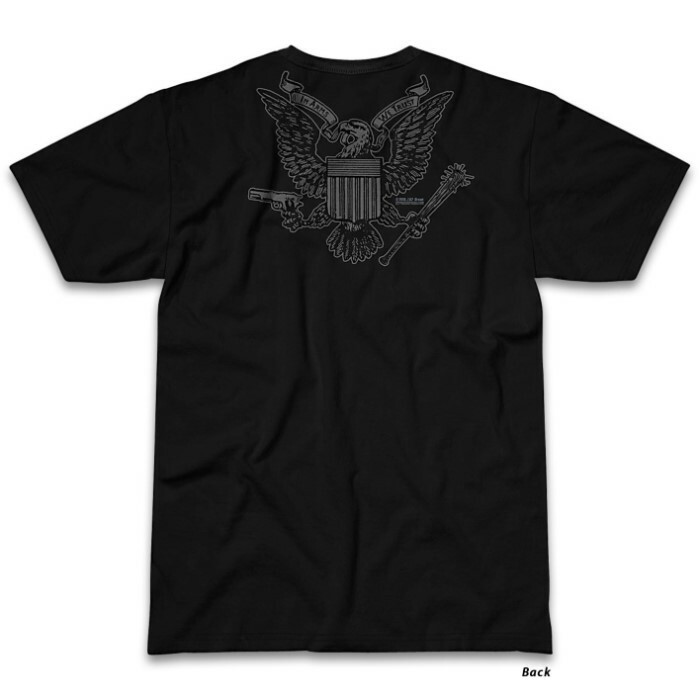 This patriotic shirt was proudly designed and printed in the USA!